Today is kin 241, Red Resonant Dragon. 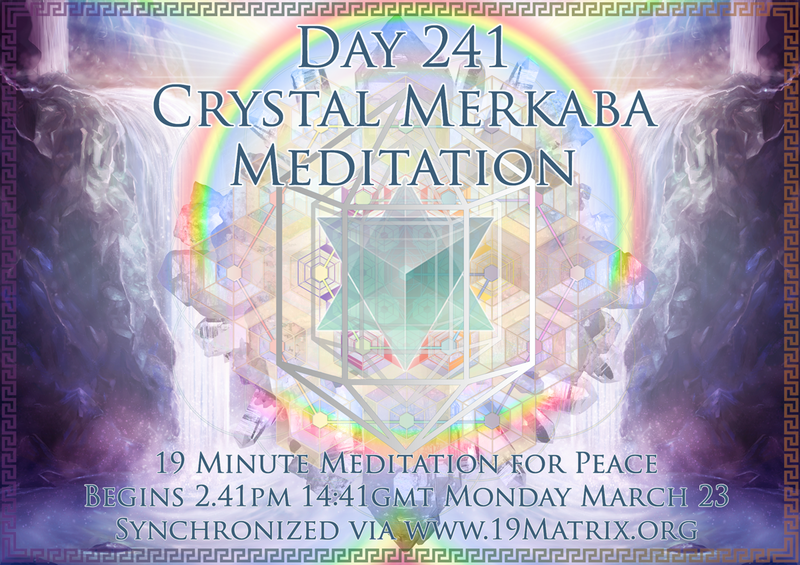 I would like to inform all of you regarding the forthcoming Inter-Dimensional Meditation for Day 241 in the 19:19 Crystal Matrix, which is on March 23rd. The plan is for all kin to connect at 2.41pm UK Time, 14:41 GMT. There is much magic we can manifest on this day. I am preparing a unique synchronised experience. I hope you can join us. For the regular followers here you will be well aware of the significance of Day 241. It is the inter-dimensional anchor of the 19:19 Crystal Matrix: The Sacred Meditation of the Ascended Masters. I have also prepared a new v3.0 19:19 Crystal Matrix A3 Full Colour Version. We also have many thousands of free booklets to distribute, if you feel you can help in this sacred action, do not hesitate to contact me via the new website. Much Love and Prophecy to you ALL. 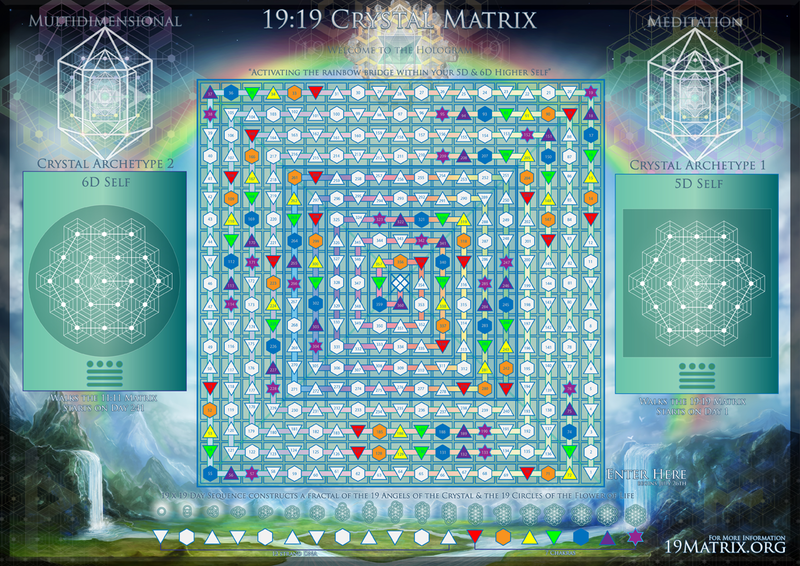 The Sacred Matrix is now online !! !